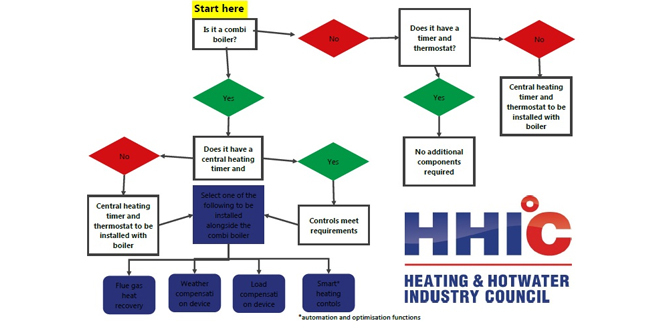 Brought in to improve efficiency in domestic heating systems, the scheme came into force on 6th April and heating engineers should now be working to it. Amongst the survey respondents, opinion was evenly split as to the benefits of the new scheme tor consumers and installers, and around half felt they were equipped to take on the work that the new requirements would demand, which includes ensuring timers and room thermostats are installed with all heating systems going forward. Despite Boiler Plus encouraging energy efficiency improvements, two thirds of respondents (64%) felt that its introduction would not lead to more business; an opinion that could be in part due to information not getting through to the very people Boiler Plus will effect. Mark Krull, from Logic4training, said: “The government has stipulated the addition of various measures to improve the energy efficiency of domestic heating systems and engineers will be responsible for delivering these. However, it appears that the general sense of confusion about the scheme has lead to a feeling of negativity, which is masking the real potential. Boiler Plus represents a great opportunity for installers and their customers will reap the benefit of more energy efficient heating that has less environmental impact and saves money on fuel bills. Logic4training’s Energy Efficiency for Domestic Heating course has recently been revised to include the new requirements for Boiler Plus. See www.logic4training.co.uk for more information, as well useful blogs and guides relating to the building services engineering sector. *Survey of 184 respondents, running from November 2017 to April 2018.